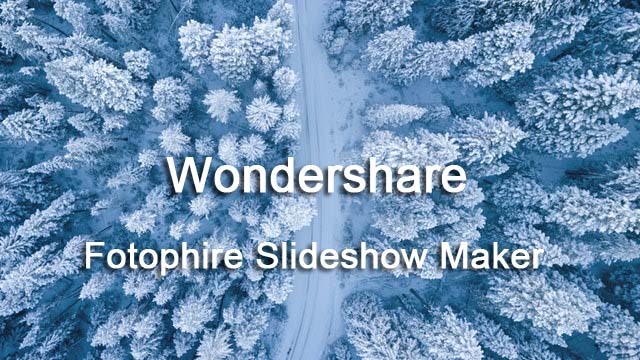 Create a slideshow from your digital photos and videos and apply effects with Fotophire Slideshow Maker developed by Wondershare. Fotophire Slideshow Maker enables you to make a slideshow with photos and videos in 3 simple steps. With the help of the Fotophire slideshow maker, all the work of making slideshows is straightforward. Step 1: Add photos and videos you like and edit them at will. Step 2: Select an excellent theme for your slideshow. Step 3: Select a target folder and save the slideshow, or share it to YouTube/Facebook. It provides incredible results that are professional and detailed. Despite that, this slideshow making software is user-friendly that users can use it at all times. It is the only software in the market that has several libraries and built-in templates that are simple to use. Customize Your Slideshow with Templates and Music Easily. Want to make your loved ones feel special? Create a personalized photo slideshow! It’s the perfect gift to convey your emotions and preserve the unique birthday, wedding or any sweet memories for a lifetime. With Fotophire Slideshow Maker, you can quickly create a cool slideshow with creative effects and your choice of music.